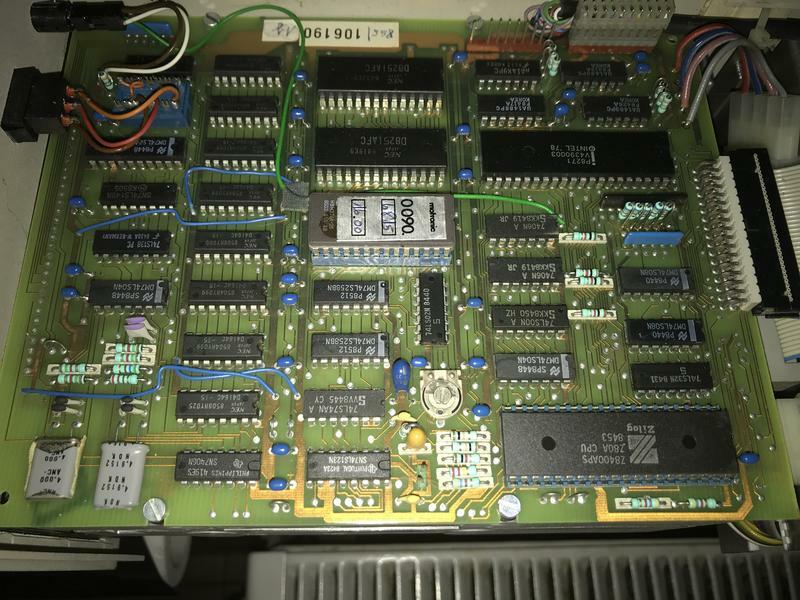 This archive contains photos of the mainboard, dumps of the ROMs and a manual ... unfortunately this is for the C2A2's predecessor, the original MUPID. 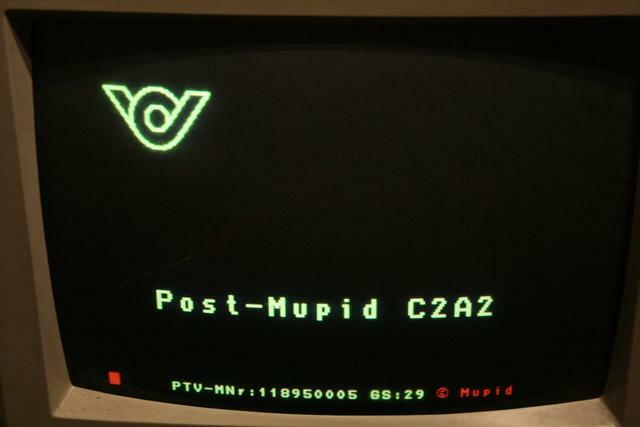 Unfortunately I don't own the optional Floppy station - a Z80 CP/M box in its own right that used the MUPID only as a terminal and could double as a local BTX server - its good "graphics" capabilities meant that the MUPIDs were often used to develop BTX pages which could be stored and recalled on the floppy station. BTX servers haven't been active for a long time, so the MUPID is only marginally useful today. Here are the CP/M and Mupid utilities as disk images for the floppy station and the MUDISK utility which you can use to connect a regular (DOS) PC to the MUPID and simulate the floppy station. 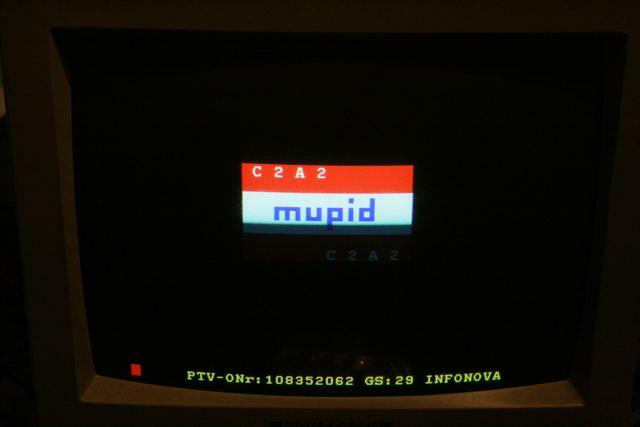 you can find a pic of the MUPID's start screen ... my MUPID starts drawing the logo of the Austrian telcom company, then my TV loses sync and I only get red and yellow dots zig-zagging across the screen. See other discussion around Minitel / Prestel / BTX related hardware. With all the effort necessary, do you think it will be a worthwile experience? BTX and its horrible DBT-03 modem were one of the reasons i refuse to buy Telekom shares to this day. Last edited by Bavarese; 04/20/17 12:27 PM. More MUPID ... in fact another one that came with a different ROM revision (also with an odd ROM pair of 27256 and 27128) and the MUPID floppy disk station. MUPID is an Austrian invention. German companies like Siemens or Grundig made sure the concept was sufficiently dead and their own flavour of BTX was chosen, before they offered their Mupid clones. 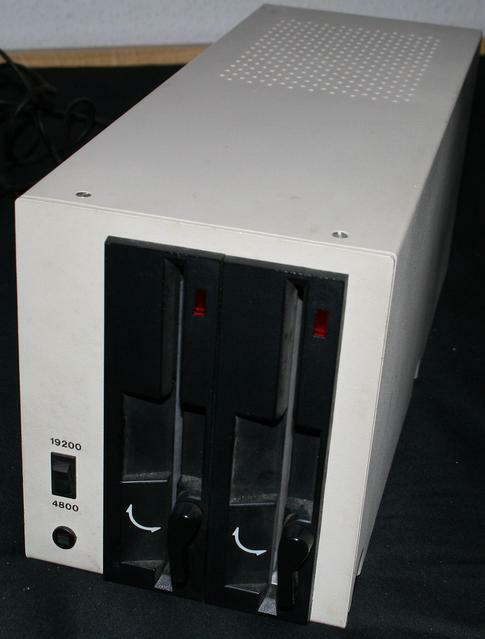 The archive on the FTP contains pictures, some documents, firmware for the two MUPIDs presented above, one for a German edition, the Grundig PTC-100 as well as firmware and disk images for the floppy station. Maybe it expects some kind of special terminal? thanks for creating the driver ... the "CEPT" string seems to point to some sort of BTX screen codes, but I could be totally wrong. Since the MUPID was a BTX machine that accepted "apps" sent over BTX, maybe these are the screen settings for the MUPID to act as a terminal. The disk that's in the archive was in one of the drives but doesn't seem to belong to the system as it's MFM vs. the FM only MUPID disk station. Since my floppy writing rig doesn't seem to be capable of handling FM, I'm awaiting delivery of boot disks to test my disk station. 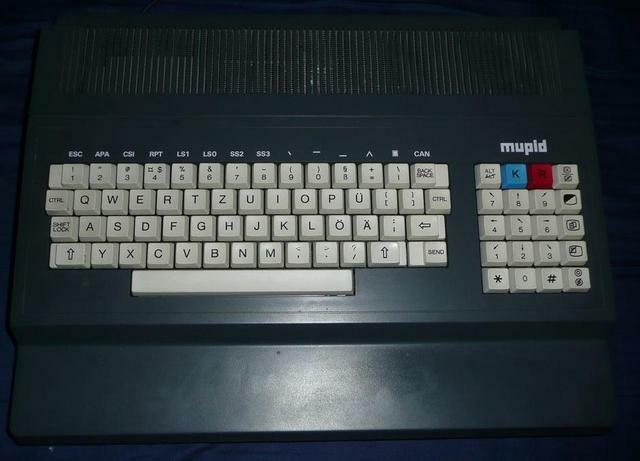 Christian Corti put on additional firmware and disk images of his German version MUPID (which is Grundig branded), so I'm looking forward to testing more. "BTX is a slow medium with its transmission speed of 1200 Baud. Even with "normal" pages which only contain text or graphic information, this can lead to nervous traits like drumming your fingers, chewing your fingernails or a change in smoking habits. This is also true for telesoftware. As tsw is loaded into RAM and there is no visible action on the screen, a phlegmatic character is needed to survive the loading time of a long program unscathedly." The system software of the CEPT MUPID (decoder software, BASIC interpreter, graphics) and user RAM areas are located in this region. This region has four banks of 32K dynamic RAM each. Each bank occupies the same address area. A bank select determins which bank is actually accessed. - 7600h-77FFh (511 Bytes): This (bank free) memory area is at the disposition of the user. Some utilities have been located in this area. Thanks, that is useful info. Here's a partial scan of the MUPID BASIC book ... I'll upload the PDF to the FTP once I've completely scanned it. I've uploaded scans of three MUPID books to the FTP, they can also be found here.